This tutorial will show how to install Drivers in HP and Compaq model. Note: This guide only for drivers officially release by HP and Compaq. 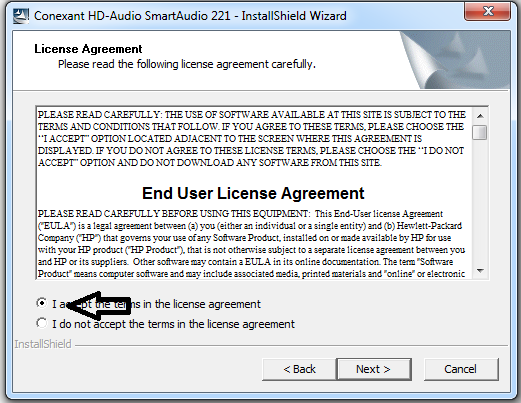 It will not cover manual installation using drivers from other source. So if your driver file not start with SP, the drivers is either not from HP or originally from HP and edited by other party. SoftPack package is formatted with exe extension which refer to executable file. excutable file mean you can run the program by double click on it, in this case to install the driver. 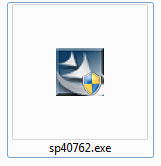 The softpaq name SPXXXX varies base on the driver file. 3. Then double click on it to install, the best way to do it is by right click and select 'run as administrator". if "right click and run as admin", you will be prompted, so click YES. 4. 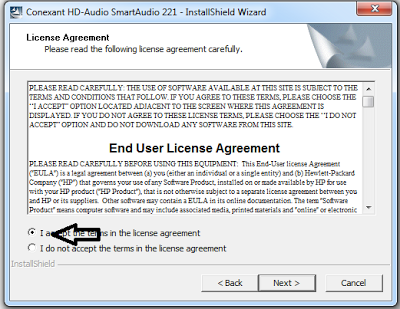 Next step is to follow the on screen instruction and agree with the terms and agreement. 5. Then click next until installation finish. The first installation will unpack the driver file into SWsetup folder in C drive. 6. Continue with the installation by following the on-screen instruction until installation finish and reboot. "Driver Installation failed: Could not find the device for this driver"
It means the driver is not compatible with your system. You need to make sure the driver you are using is the right driver for your laptop. Take note, HP sometimes provides more than 3 option for wireless driver, so you have to choose base on your specification or you have to test which work for you. Installing wrong driver will not harm your system but it will result in error. Let me know if you need advise or assistance in this matter.